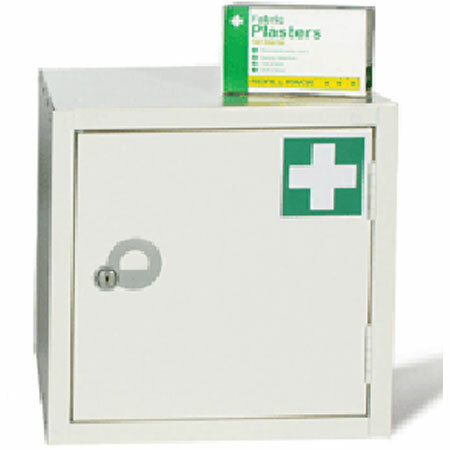 MEDICAL CABINETS... floorstanding. Reinforced doors. 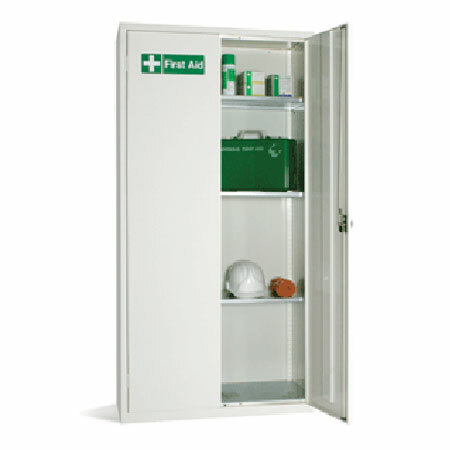 Complete with adjustable shelves. Choice of three sizes. 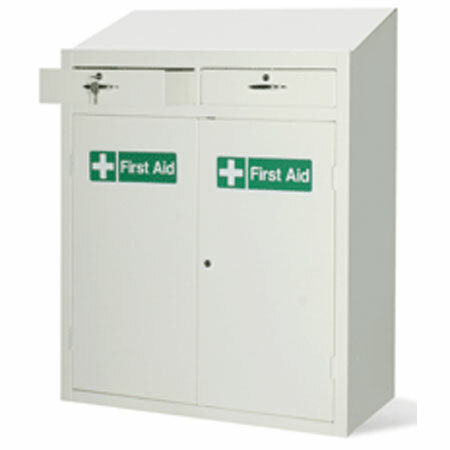 FIRST AID WORKSTATION... ideal unit for positioning close to work activities in remote areas of factories and businesses etc. 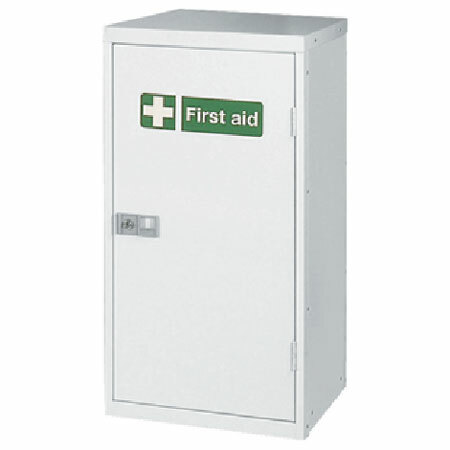 Provides lockable secure storage for small and bulky items. Useful raised sloping desk top. Mobile base option available.